File photo Honoapiilani Highway tunnel. Photo by Wendy Osher. Two individuals are recovering from injuries after a head-on collision near the Pali Tunnel on Tuesday morning. According to incident reports, a silver sedan crossed the center line, and struck a white sedan traveling in the opposite direction shortly after 8 a.m. Authorities from the Maui County Paramedics Association say the vehicles were traveling at around 50 mph at the time of impact. A third vehicle, a mini-van, then rear-ended one of the vehicles involved in the initial impact. The 23-year-old man driving the vehicle that crossed the center line was transported to the hospital with abdominal injuries, and a hip injury, said Maui County Paramedics Association spokesperson Ryan Joslin. Medics say the driver of the other vehicle, a 34-year-old man, was being treated for minor leg injuries. The occupants of the minivan were uninjured. The morning accident forced the one hour closure of the road while crews cleaned debris from the scene. Two individuals were transported to the hospital with non-life threatening injuries following a morning accident that forced the temporary closure of the Honoapiilani Highway (Hwy 30) during the morning commute. 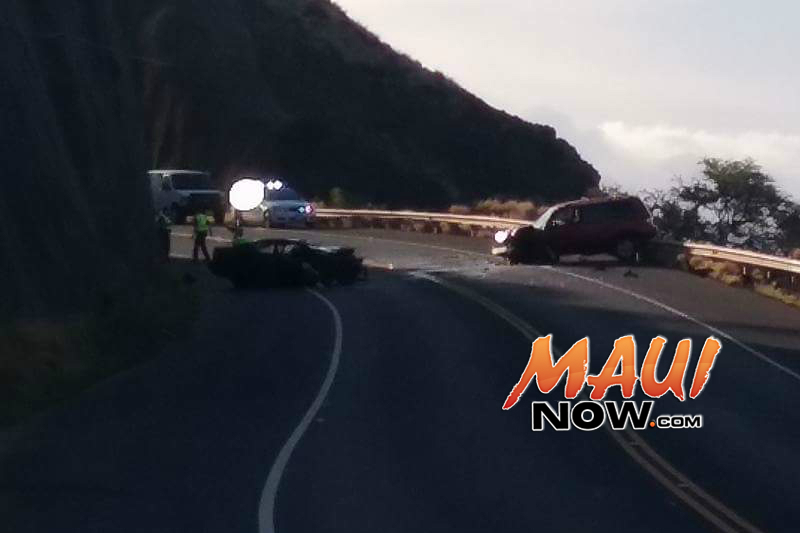 Police said the accident was reported at 8:02 a.m., on the Lahaina side of the scenic lookout. According to Kihei Police, a vehicle was traveling towards Wailuku when it crossed the center line and collided into a sedan traveling in the opposite direction. As a result of the collision, police say a third vehicle collided into one of the sedans. Maui Police Lt. Wayne Ibarra said the drivers of Unit 1 and Unit 2 were transported to the Maui Memorial Medical Center for treatment of injuries. 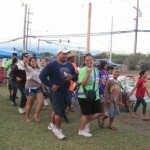 The road was reopened at 9:25 a.m.
As of 9:26 a.m., the Honoapiilani Highway was officially RE-OPENED in both directions. Motorists can still expect delays as traffic resumes its normal flow. The road was closed at 8:25 a.m. following a head-on collision reported earlier this morning on the Lahaina side of the Pali Tunnel. As of 9:20 a.m., tow truck drivers had removed at least one of the vehicles involved in a two-vehicle accident on the Honaopiilani Highway. The road was still officially closed at last report, however motorists in the area were reporting slight movement. Motorists are asked to please stay away from the area until the accident is cleared. Authorities have not released an estimated time for official re-opening. As of 9:08 a.m., the Honoapiilani Highway (Hwy 30) was still officially closed; there is only slight movement if any reported by those on the roadway. Motorists are asked to please stay away from the area until the accident is cleared. Authorities have not released an estimated time for opening. 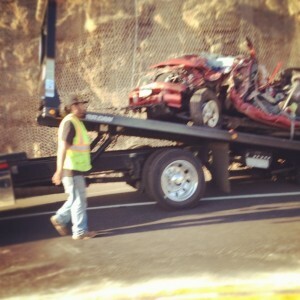 The highway was closed at 8:25 a.m. following a head-on collision reported on the Lahaina side of the Pali Tunnel. Maui Police have since CLOSED the Honoapiilani Highway following an accident reported earlier this morning on the Lahaina side of the Pali Tunnel. The highway was closed at 8:25 a.m. 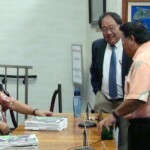 Motorists can expect delays on the Honopaiilani Highway due to an accident reported at around 8:09 a.m. on Tuesday, September 11, 2012. 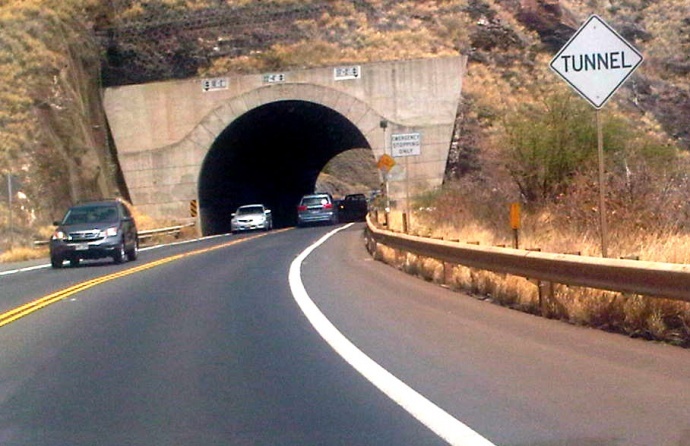 Maui police say the accident is located on the Honoapiilani (Hwy 30) on the Lahaina side of the Pali Tunnel. Crews are responding. Maui police say the road remains open, however motorists can expect delays.